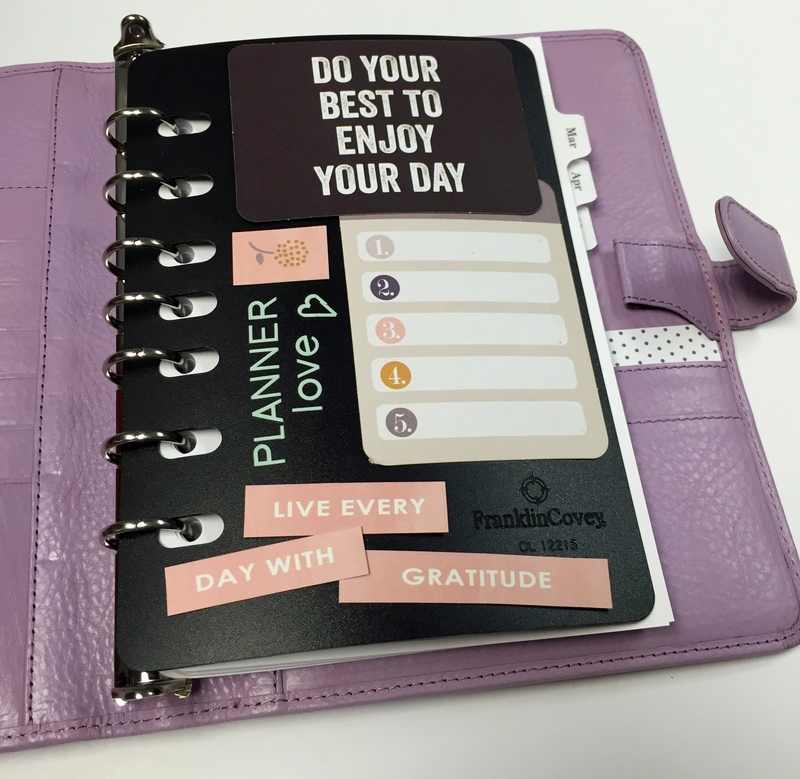 Many people use the front plastic panel of their planner as a sort of dashboard: a quick, easily accessible page to post sticky notes, lists, and other reminders. If you’re a fan of this method, remember to periodically take the time to clean off your planner dashboard and transfer the information to the correct days in your planner. This can be as easy as moving the sticky note, or the sticky notes can help you remember tasks, lists, and other items to record during your planning session.